West Ham and the Metropolitan Police are investigating allegations of racist abuse aimed at Liverpool striker Mohamed Salah on Monday night. 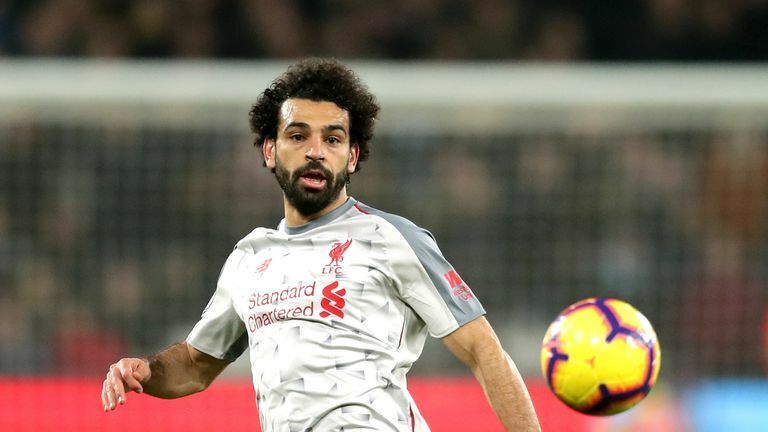 A video emerged on social media in which audible racial slurs are clearly directed at the Egypt international as he took a corner during the Premier League fixture at the London Stadium on Monday. In the post, the Twitter user says: "I went to watch West Ham vs Liverpool and I was disgusted by what I was hearing. People like this deserve no place in our society let alone football matches." The club have told Sky Sports News they are taking immediate action to identify the individual or individuals involved. Should the person or persons be found, the club will make a report to police and issue a football banning order. Liverpool have told Sky Sports News that Salah did not mention any issue on Monday or Tuesday and will maintain contact with West Ham after being assured an investigation was underway - the club will also offer Salah any support he requires. A West Ham spokesperson issued the following statement to Sky Sports News: "At West Ham United, we have a zero tolerance policy to any form of violent or abusive behaviour. The Metropolitan Police have confirmed they are aware of the footage and looking into its contents. A Met Police statement read: "We are aware of a video in which it appears racial abuse is being directed at a player at a West Ham vs Liverpool game at London Stadium on Monday, 4 February. "Officers are in the process of reviewing the footage. No arrests have been made and enquiries continue. "Anyone who witnesses inappropriate behaviour during a match is urged to bring it to the attention of a steward or police officer."